Photo booth fun. Guests LOVE photo booths. 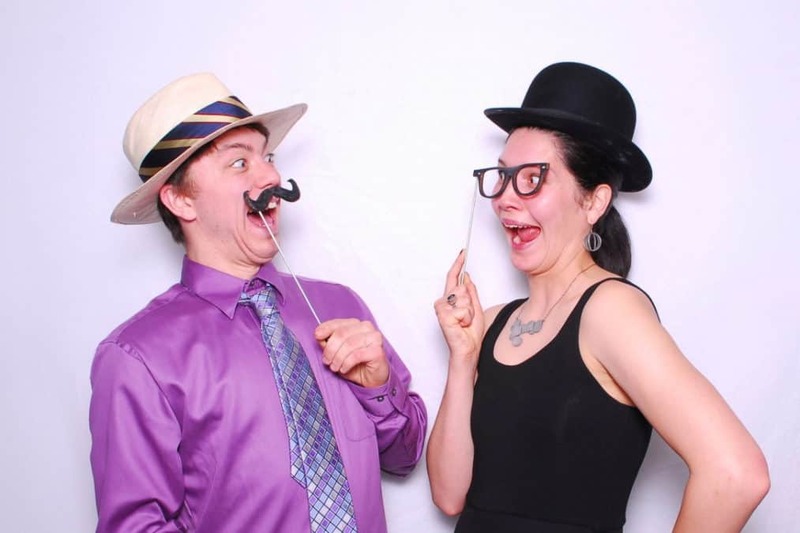 They are a great way to break the ice with other attendees and get a little goofy during a formal occasion. The photo booth will keep people occupied at all times and laughing long after the camera flashes! Creates keepsakes. When we say unlimited prints, we mean unlimited prints! Everyone in each photo receives a photo strip to take home and access to the pictures online. Photos make great party favors and tangible memories from the event for years to come. The right light. Our event lighting services will transform your venue into the perfect party scene. Certain light sets the mood, and we are equipped to create an appropriate ambiance for any type of event. We can color wash a single wall or entire ballroom to dazzle your guests! Green screen magic. Take your event to Vegas, the beach, a snowy mountain, or the red carpet with the 1000 Words green screen. This fabulous backdrop will enhance guest photos to fit any party’s theme. No extra work for you. We take care of the set up and take down of all our products so that the host can focus on mingling and partying! We can customize all of our products to fit your event type, age range, and venue space. Party bus. Moondoggy is our mobile photo booth van who comes along to our events. He always ends up being the most popular guy at the party! Guests can hop inside to take pictures in the VW photo booth—what other event does that? !